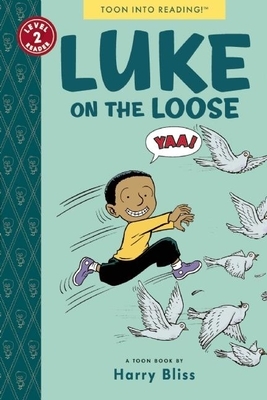 In this Junior Library Guild selection, Luke looks at the pigeons while Dad is lost in "boring Daddy talk." Before you know it, Luke is as free as a bird, on a hilarious solo flight through New York City. Harry Bliss is a beloved New Yorker cartoonist and cover artist as well as the illustrator of numerous bestselling children's books, including Doreen Cronin's Diary of a Worm, and Which Would You Rather Be? by Caldecott Medal-winner William Steig. His newest book for young readers is Louise, the Adventures of a Chicken by Newbery Award-winner Kate DiCamillo. This is his first comic book. Harry grew up in upstate New York in a family of artists and illustrators. He currently resides in Northern Vermont with his son and their puppy Penny, who has yet to catch her first squirrel.